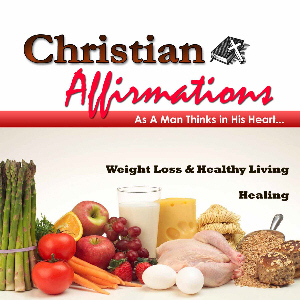 This CD contains Christian affirmations on WEIGHT LOSS Christian Affirmations that also include HEALTHY LIVING and HEALING affirmations. Each recording includes an introduction, optional relaxation exercise, and two- sets of affirmations and scriptures read to uplifting music. Play affirmations while driving, working, cleaning, and relaxing. God says He will heal our sickness and take away our diseases. These healing scriptures and affirmations will help you to stay focused on the Lord for your healing.